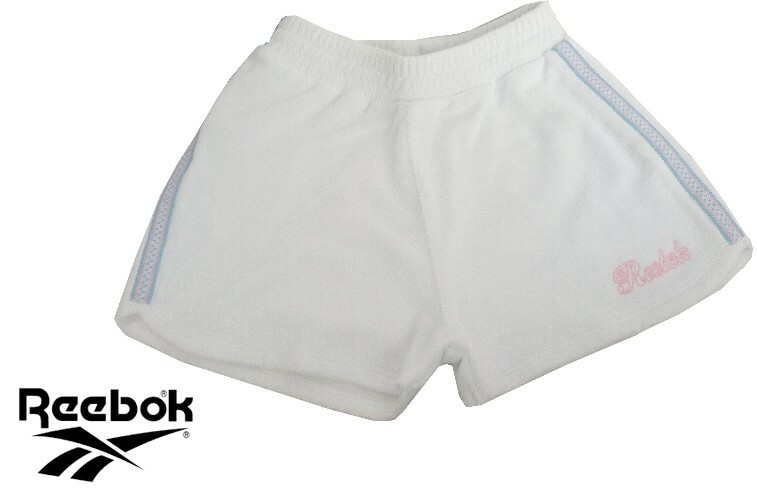 Description: Juniorgirls Reebok short. Made from a 100% cotton with a towelling texture. Features a pink Reebok embroidered logo on the front and a stripe design along the sides.